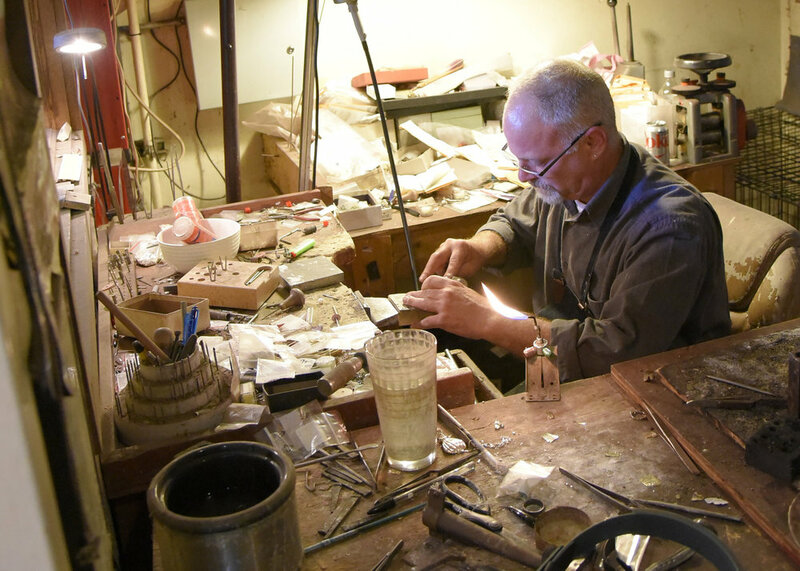 Sam Hill, owner of Rohr Jewelers, has always worked with his hands whether as a carpenter, a furniture maker, or a jeweler. He has been working on and designing jewelry for over 28 years. Sam often lets the materials lead the way to the design. He strives to use traditional techniques in innovative ways. Since 1933, Rohr Jewelers has provided outstanding customer service and exceptional jewelry. Sam Hill, the owner since 2000, is a Goldsmith, Jewelry Designer, and Graduate Gemologist. He is dedicated to bringing the finest selection of pearls, diamonds, and gemstone jewelry to Milwaukee. 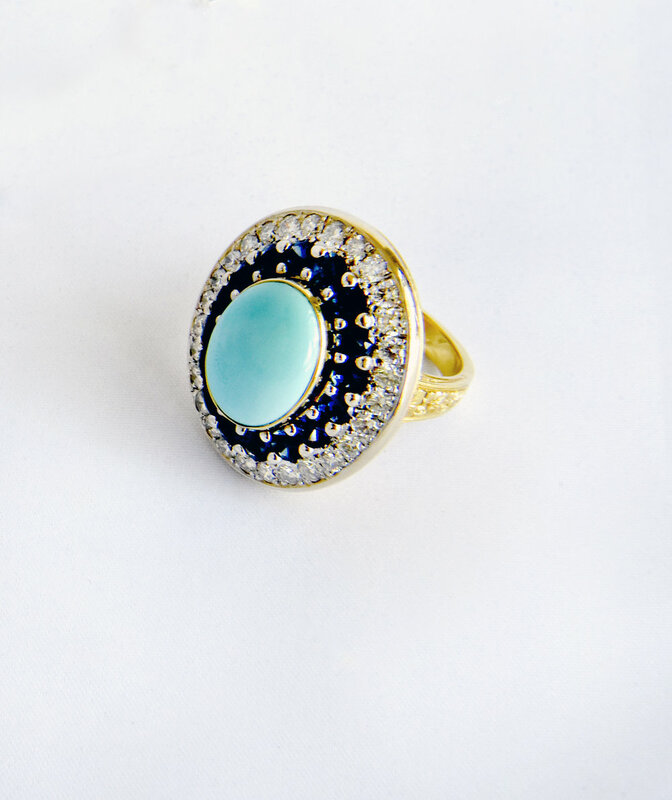 Rohr Jewelers specializes in unique pieces from around the world. Success at Rohr Jewelers Inc. is less about sales figures and growth and more about relationships, owner Sam Hill believes. Hill bought the business in downtown Milwaukee in 2000 and has put his stamp on the 89-year-old store, 813 N. Jefferson St. He acquired the store after 10 years working as an apprentice at a jewelry store in Richmond, Va.
Hill increased the store’s selection of pearls and added his own jewelry designs to the merchandise mix. The store also carries a wide variety of handpicked colored stones and unique jewelry from designers both in Wisconsin and around the world.